I plan to enhance 3shrink to support generating 3 letter codes in response to an upload. Before making this change, however, I wanted to understand how Tasker's HTTP POST Action works with respect to files. That way, I could be sure that any change I made to the core of 3shrink would play nicely with Tasker. Tasker's HTTP POST Action is surprisingly finicky to use. 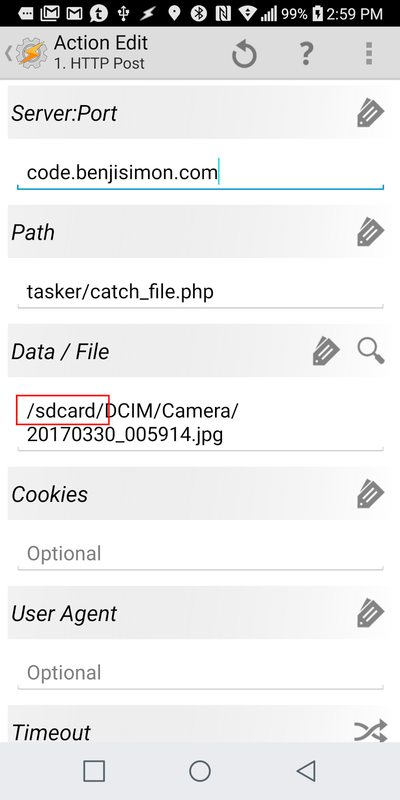 The trickiest part: when you select a file to upload, Tasker injects a relative path to the file in the UI. Say, DCIM/Camera/20170330_005914.jpg. However, without the leading /, Tasker just assumes that this is an arbitrary string. And if you just add a leading slash to the path, you'll end up with a Tasker error about the file not being found. What's required is to have a valid absolute path in place. 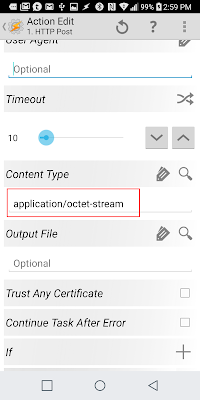 The other piece of the puzzle: you'll want to set the appropriate Content-Type for your file (using application/octet-stream is a fine catch-all). On the PHP side of things, you can access this data by reading in the stream associated with php://input. Here's some sample code that slurps in the file from the web and writes it locally as capture.data. Notice that I'm doing a bit of checking here to insure that the Content-Type is set as I expect it. 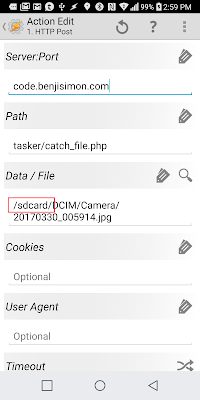 If all goes as planned, Tasker should happily push the file, and your PHP script should happily pull it in. Enjoy! 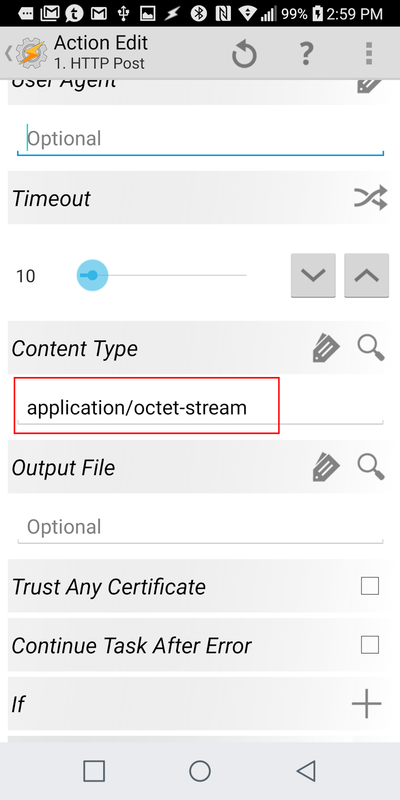 Note: for uploading a queue of files, it's far smarter to use the FolderSync and the its Tasker Plugin.